Sub-Saharan African writing systems created over the past 150 years have an extraordinary tradition of not evolving from existing scripts, or even from the traditions and assumptions of existing scripts, but springing out of the images and patterns of the art and craft of their culture — sometimes apparently out of the soil itself. In some cases this is a matter of adopting/adapting symbols from craft design to stand as letters, and that alone tends to give writing a new look and to root it in its culture of origin. In other cases, though, the connection is so deep it draws writing into a range of symbols and practices that are deeply spiritual in nature and predate the act of writing — so an alphabet or syllabary that is new can also seem as ancient as civilization. Before we get to the script itself, let’s break down those terms. 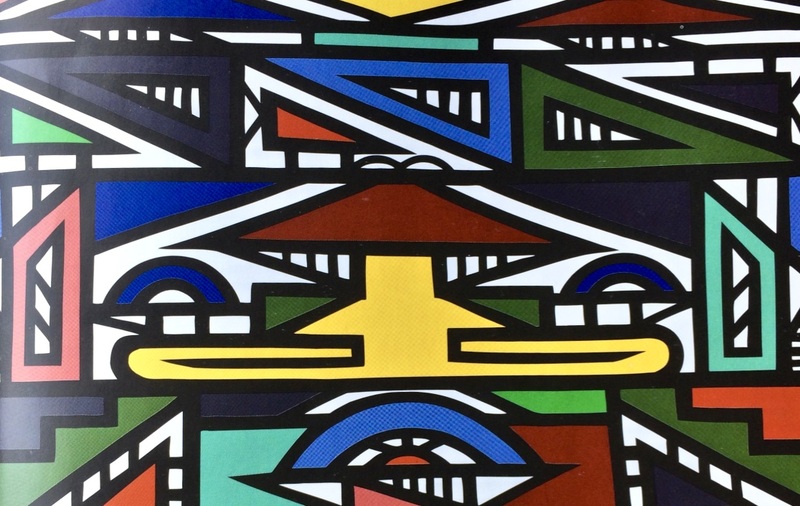 Litema, based on the Sesotho word that means, fascinatingly, both “text” and “ploughed land,” is an art form based on decorative and symbolic patterns engraved, painted or moulded in the walls of homes. For centuries, women have combed the patterns (to imitate a ploughed field) or scratched them into the wet top layer of fresh clay and dung plaster of the wall and then painted them with naturally occurring pigments or, more recently, paint. Litema are not intended to be permanent, and usually dry or are washed off by the next rain. Interestingly, a similar tradition exists in South Asia, called rangoli or kolam. 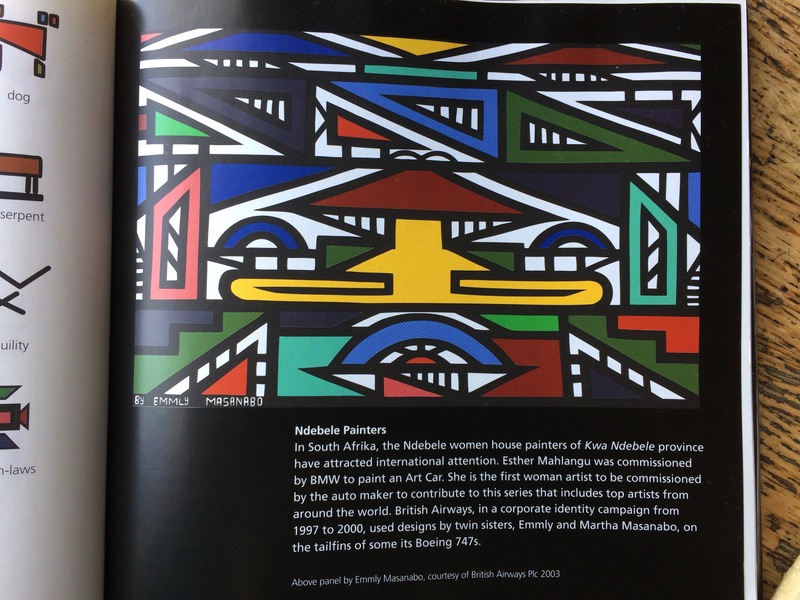 The most famous practitioner of IsiNdebele murals is Esther Mahlangu, a South African artist from the Ndebele nation. “My art has evolved from our tribal tradition of decorating the home,” she said. 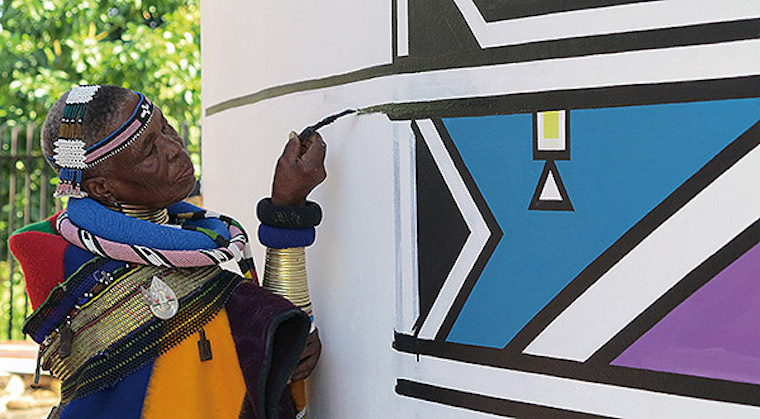 Growing up in the 1940s, she learnt at the hands of her mother and grandmother to create the austere designs that decorate Ndebele homes, using her fingers, brushes made from chicken feathers or bobbejaanstert (Xerophyta retinervis, or black-stick lily), coloured clay and cow dung. 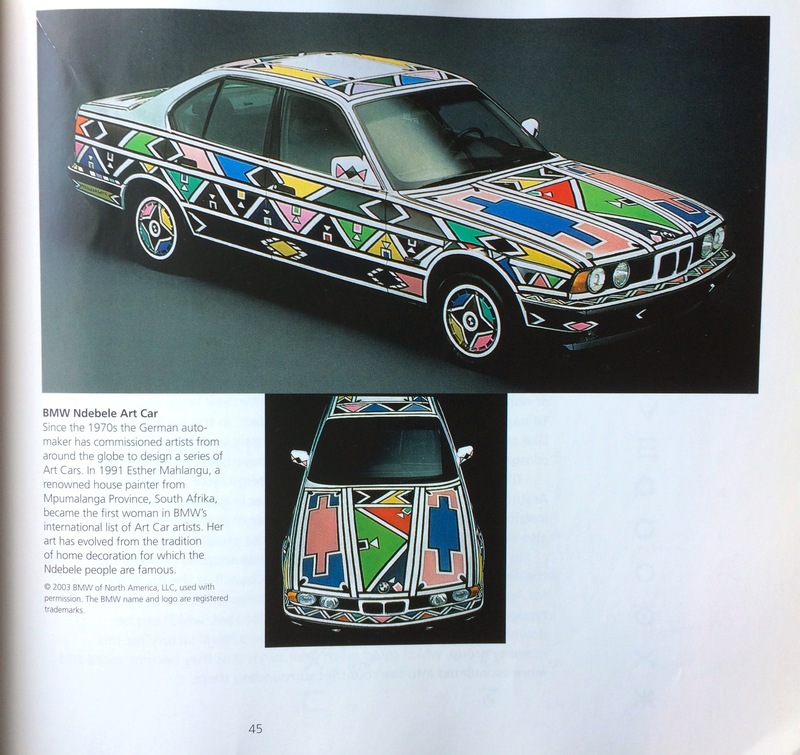 Her work became so striking and so well-known she has exhibited all over the world, and was commissioned to paint a BMW for the company’s Art Car series and the tail of a British Airways Boeing in her interpretations of the traditional Ndebele designs. Okay, now let’s get on to the script itself, easily one of the most vivid and extraordinary writing systems in the world. 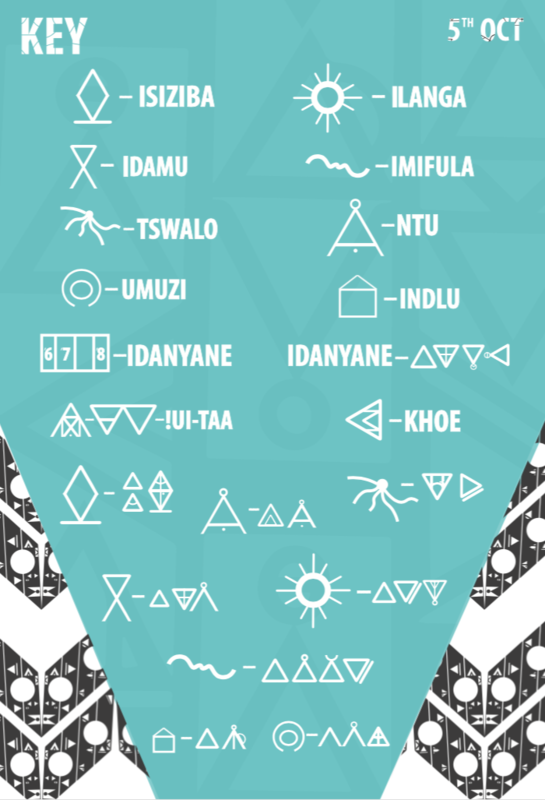 It was developed between 2010 and 2015 by a group of linguists and designers to write southern Bantu languages such as IsiZulu, Xhosa, TshiVenḓa, XiTsonga, SeSotho, SiSwati, and SeTswana — languages that include a range of sounds (such as the well-known Xhosa “click”) not accommodated by the Latin alphabet. The script is amazingly detailed and specific, almost a blueprint more than an alphabet. 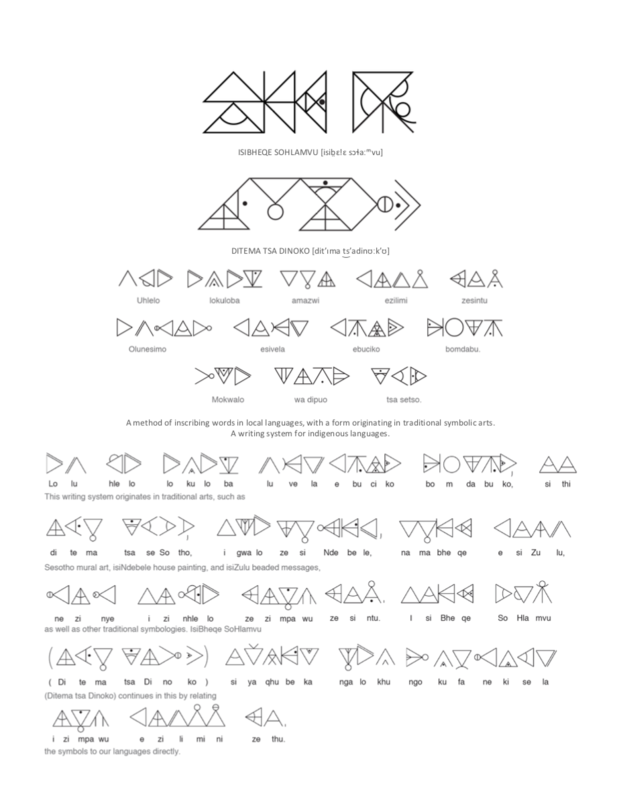 For example, it is one of only a handful of scripts in which the direction a glyph faces is significant. 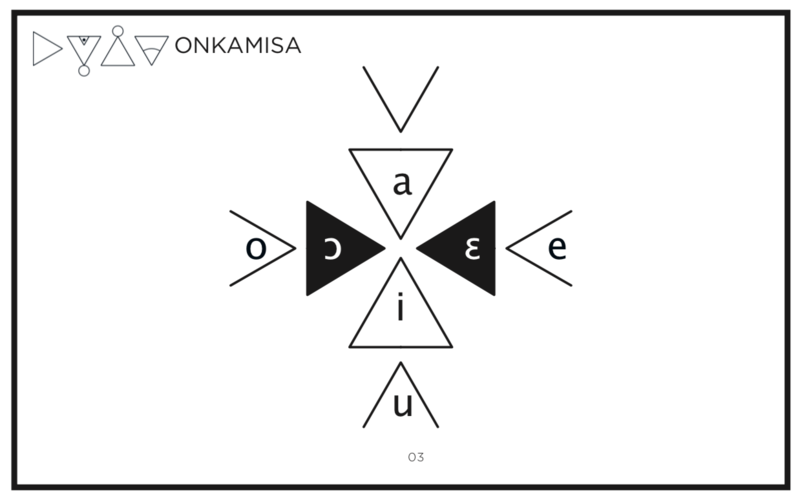 A triangle pointing upwards indicates one vowel (i), while one facing downwards indicates another (a). 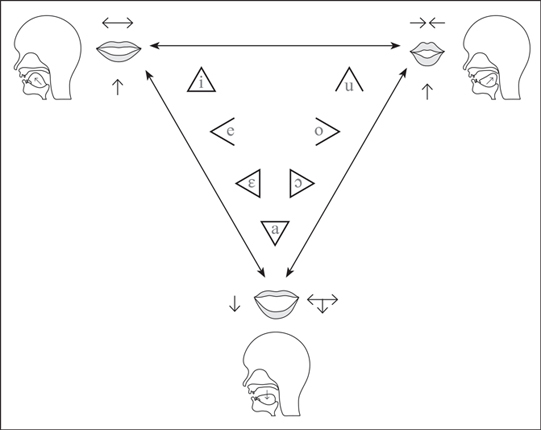 There’s also an element of diagramming involved to show where and how a sound is voiced. Labials and nasals are positioned outside the triangle at the apex. Alveolars are across the middle of the triangle from side to side. Velars and palatals are at the base. Laterals are outside the triangle on one side. Dentals are two lines across the triangle from side to side, parallel to each other. Shape is central, and vital. Their straight line counterparts in the same positions indicate plosives. Clicks are a bottomless hourglass shape. Syllabic laterals and trills are represented with duplication of the ordinary lateral and trill graphemes. The writer has other opportunities usually associated with artists — the assignment of colors, for example. Drawing on traditions in the visual arts such as beadwork, color may have an associated mood or non-linguistic meaning: green may connote contentment, for example, but used negatively may imply discord or illness. Certain colors may have spiritual, ethnic or regional associations. There’s no telling how widely adopted the script will become, of course, and as with all constructed scripts, we’re left holding our breath. But in one respect the script has already started putting down new roots of its own. Unknown Union, a South African-based clothing company, has started incorporating features from Ditema and other African writing systems in its clothing designs, thus completing the circle from art/craft to writing and back again. “There has been a long-held assumption that the African continent has been largely without design,” writes Barbaro Martinez-Ruiz, the Unknown Union art director, “which has, in turn, led to assumptions (and associated stigma) about Africa and African descendants in the diaspora lacking history and creativity. 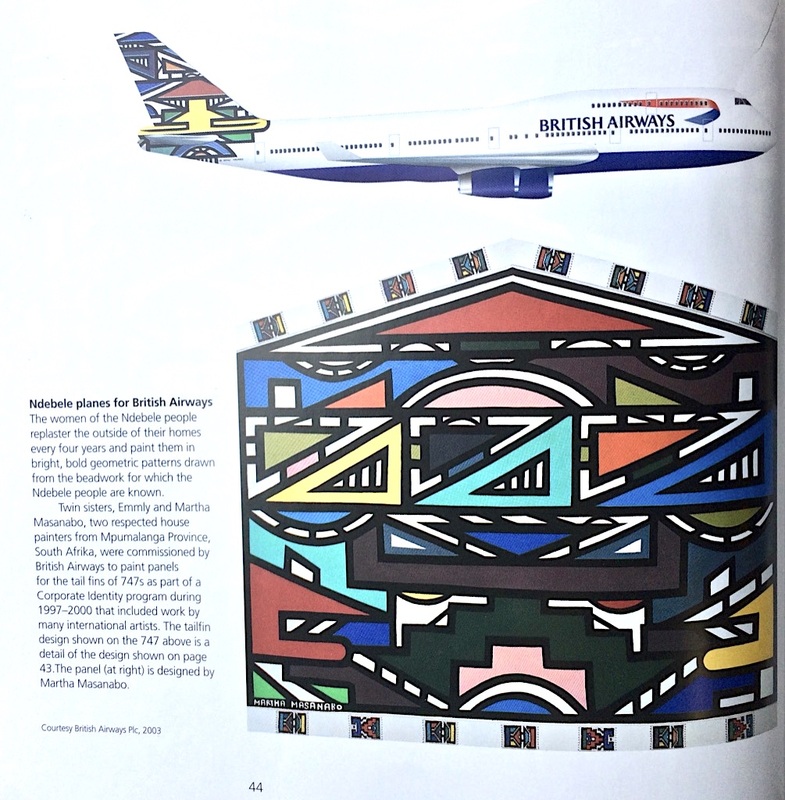 “Design expression and communication, however, has been and continues to be part of the cultural and historical foundation of many cultures in the continent right from the long-standing rock painting traditions to historical writing and design principles used in Mum, Nsibidi and Sona graphic writing to contemporary writing and design like Mandombe used by millions of people in West and Central Africa.